Oxnard, also known as the gateway to the Channel Islands, is located on the Pacific Coast in southern California. It is approximately 62 miles northwest of downtown Los Angeles and 35 miles south of Santa Barbara. Oxnard is the largest city in Ventura County. The Police department has several sub-stations. The city is divided into seven beats, which are patrolled 24 hours a day by uniform police officers in four shifts per day. Service response time for emergency calls average 5.8 minutes. We currently have 25 Reserve Officers and are authorized to have 40 Reserve Officers. Our Reserve Officers are not compensated. Reserves are issued all uniforms and safety equipment. Reserves are not given a uniform allowance. The primary job of the Reserve Unit is to support the Patrol Division as the second officer in the car. The Reserves are trained as Regular Officers. Reserves go through a 20 hour Orientation program which covers subjects like report writing, department procedures, etc. They are required to work 10 hours in booking and another 10 hours in the communications center. 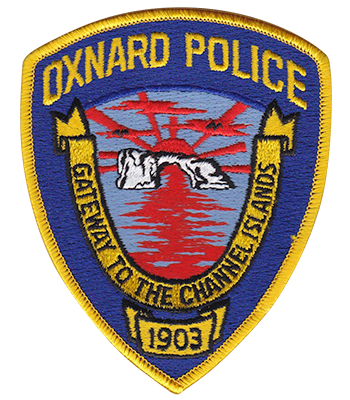 The Oxnard Reserve field training program is the same as the regular officer program. Reserves Officers spend 520 hours in field training. The field training is broken into learning modules which must be completed successfully. After Field Training is completed Reserves can participate in the Reserve Bike Team, Detectives, Narcotics, and assist the Street Crimes Unit. Reserve Recruiting Officer, Reserve Sergeant Jeff Miller (805) 339-4046. We are continually seeking qualified applicants and many of our reserves go on to become regular officers in our department.